SQUAMISH, BRITISH COLUMBIA — On Sunday, hundreds of people turned up on the shores of the Squamish River to see the birds. Not just any birds, mind you. Photographers, spectators, local residents and lovers of cultural festivals participated in one of the most intense bird-watching experiences you’ll find anywhere. The Brackendale Eagle Count has been going on each January in and around Squamish since 1986. The point of the exercise is to count how many bald eagles are spotted in one day along a 40-kilometre run of the Squamish River. The count takes place near the peak of the yearly salmon run, when the fish migrate en masse downstream to spawn while magnificent eagles gather in numbers larger than anywhere else in the world for some of the easiest fishing they’ll encounter in all of 2016. Although the 30th annual event fell short of the world record of 3,769 eagles sighted in Brackendale in 1994, the event remains intriguing. The eagle count is a spectacle that belongs in a safari experience, but you will find it here: On a route halfway between Vancouver and Whistler in a region dubbed Sea-to-Sky Country that is exploding with reasons to come for a visit. Like the Brackendale Eagle Count, some of these reasons are distinct to the region, tied to nature and nurtured by residents who care for their surroundings. The eagle count has become so popular it is now part of a month-long festival celebrating the rulers of the sky. While visitors used to be tied to the shoreline to see the birds swoop down majestically for a salmon or battle on the rocks and sand for territory or the last bits of a carcass, tour operators such as Sunwolf Lodge are now offering eagle-watching river cruises during the festival. Squamish has risen to prominence as a destination because of its array of outdoor activities — including a watery expanse that is one of the few places in Canada where you can scuba dive — and for its improving attractions, including the Sea-to-Sky Gondola experience, which debuted in 2015 and has won rave reviews for its views, atmosphere and family-friendly activities. While Squamish is erupting as a tourism destination, other parts on the corridor of Sea-to-Sky Country are building on their assets. 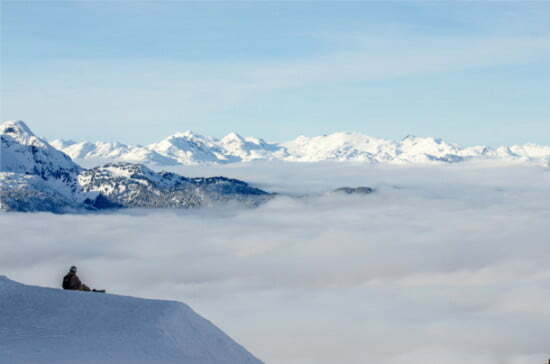 Whistler, Canada’s premier winter sports destination, is celebrating its 50th anniversary during the 2015-16 season with a series of festivals and events. The Rendezvous Lodge at Blackcomb Mountain has also been renovated, including a new fine-dining restaurant, Christine’s. The ski village even got a special anniversary gift — more snow — and that allowed it to open its ski lifts a week earlier than expected in November. Both Squamish and Pemberton, which is a short drive north of Whistler, stage major music festivals each summer. Culinary travellers have plenty of choices in the area, including an annual long-table dinner set in the middle of a farm in Pemberton with cuisine overseen by Araxi executive chef James Walt. For those reasons and more, Sea-to-Sky Country has been named the No. 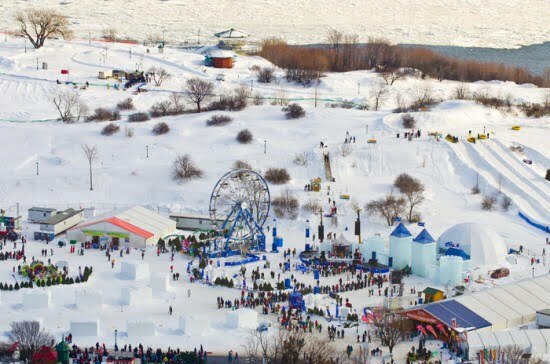 1 Place to Visit in Canada for 2016 by the travel journalists at Vacay.ca. A key reason why the area is on top of the fifth annual list is because domestic travel and car travel are expected to be very high, according to the Conference Board of Canada. Overnight travel within Canada is expected to grow 2.4 per cent in 2016, after seeing a similar year-over-year increase in 2015. Vancouver, the gateway to Sea-to-Sky Country, is expected to see an increase of overnight stays of 3.4 per cent, which is good news for the beautiful, mountainous region to its northwest. Many foreign visitors are expected to arrive in Vancouver in March for the inaugural weekend-long Rugby Sevens World Cup tournament and are likely to extend their stay to visit the scenic part of British Columbia’s Lower Mainland. In terms of exchange rates, the low Canadian dollar is predicted to again keep Canadians close to home and the attractive price of gasoline makes road trips more enticing. That is likely to result in British Columbians and Albertans opting for driving trips in Western Canada while Americans and other visitors from outside the region are likely to extend their stays because of the cheap currency. “The weaker Canadian dollar has helped make Canadian travel destinations more price competitive for both Canadians and those travellers from abroad, particularly Americans. At the same time, lower gas prices are reducing the costs of road trips,” Greg Hermus, associate director for the Conference Board of Canada’s Canadian Tourism Research Institute, said in a press release last month. What could happen is that residents in Sea-to-Sky Country will be counting tourists with even more verve than they catalogued their beloved eagles on this first weekend of the year. Directions: Sea-to-Sky Country begins at Horseshoe Bay, north of Vancouver, and stretches about 135 kilometres to Pemberton and the surrounding region. 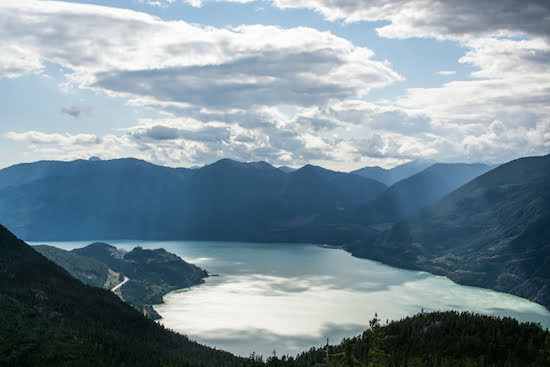 The route is named after Highway 99, aka the Sea-to-Sky Highway, and it features immaculate views of Howe Sound as well as thrilling curves and bends around the Coastal Mountain range.